University of Central Lancashire had a major problem with bike theft and security, especially for regular cycle commuters who wanted to use better bikes. Storage inside the buildings was not really an option, so they were looking for a secure, outdoor parking solution. This needed to be modern, secure and easy to use. 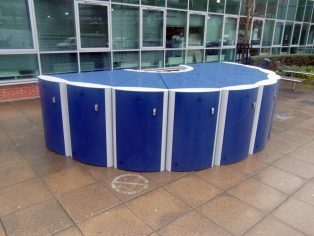 UCLan investigated the options and trialled a small number of velo-safe lockers at one location. These proved to be very popular and there was immediately a waiting list for them. These lockers were managed by the university and rented out by individual students and staff. More lockers were then bought for other locations where they were also successful and popular. 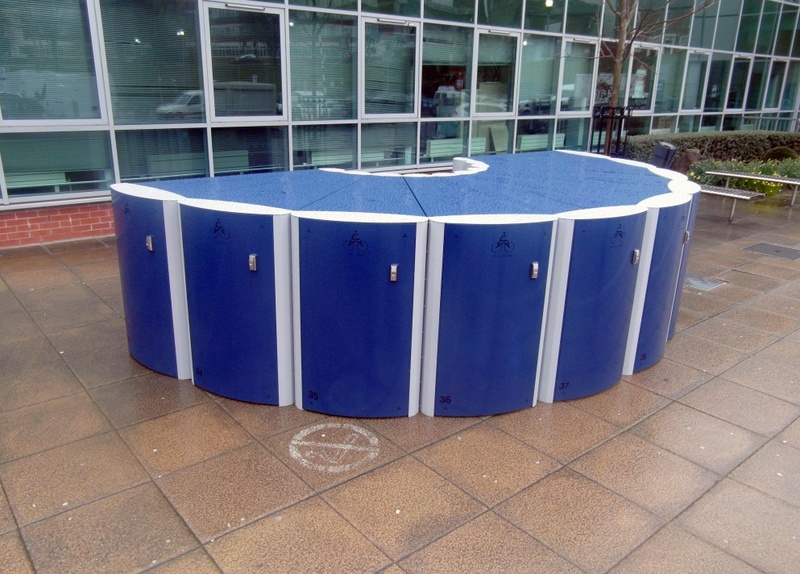 The university found the unique wedge shape to be flexible and space saving, while they fitted in well to the university campus. They go with both modern and older buildings and can be installed in dead corners and unused spaces. The lockers have been designed for campus’s and similar sites and give peace of mind to the cyclists that their bikes and accessories are safe and dry. The lockers fit in well for the university’s Travel Plan and are helping to solve the problem of bike theft whilst promoting cycling. Cycle-works manufacture and install the lockers and are always able to give practical help and advice. As quoted by Joanne Talbot, Sustainable Travel Co-ordinator from UCLan; Cycle-Works do a fantastic job and are extremely patient, I always have my own configuration ideas but end up asking ‘what would you do’ and always end up with the best overall look. In future I will just leave the configuration to the experts!